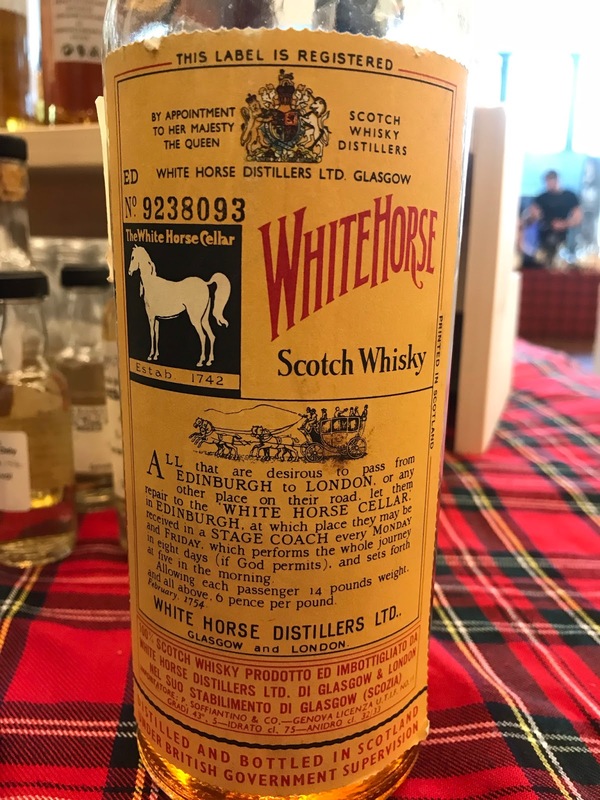 Old White Horse Blended Whisky is pretty sought after because the blend reputedly contained a lot of Lagavulin. The stuff made in the 60’s & 70’s may even have contained some Malt Mill. This is a little too early for that but fascinating to try all the same. Many thanks to Andrea (the old blend aficionado) for letting me try this. 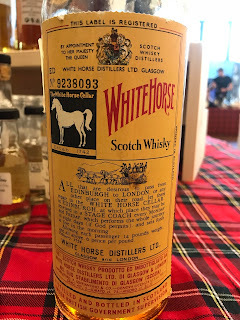 Nose: Musky and ethereal, very old grain whisky notes, oak and cream, soft and complex, soot and apple, musky cologne, a little 'old bottle effect' with this dusty fruit note. Not much smoke that I can see. Taste: Soft arrival, oak and spice, creamy grain, biscuit then some smoke, ginger beer, nice spice. The lemon is still alive. A little more smoke here but I’d be hard pressed to say it was from Lagavulin. Finish: Short/Medium length. Creamy grain then the ginger beer tingles. Spring cap! What a rarity. Amazing to be able to try but to me this tastes like 90% 20yo grain whisky and less than 5% young Islay whisky. No idea of the true proportions but the grain is really dominant with the creamy/biscuit notes, only allowing a little of the smoke to come through as a subtle sootiness.